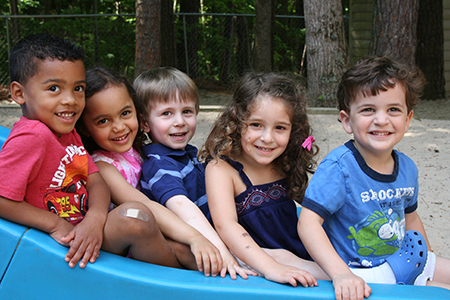 Beth Meyer Preschool is part of a Conservative Jewish synagogue in Raleigh and has provided quality early childhood education in the Raleigh area since 1989. Our mission is to connect children to Jewish life through meaningful hands-on exploration. We envision a school where children will flourish through ownership of authentic learning experiences rooted in Jewish values. Through developmentally-appropriate practice, play-based and emergent curriculum, and daily integration of Jewish values, optimal growth and learning are fostered in every area of a child’s development: social, emotional, physical, cognitive, cultural and spiritual.